The new products involve a great deal of hidden work, a human team, studies and anticipation. We have worked hard on all of them, but if there is a new product that we feel particularly proud of, it is without doubt KRION® K-LIFE. Years of R&D with the sole intention of contributing to improving our quality of life. At first an ambitious dream, it took shape, becoming the most important altruistic act ever undertaken by KRION, the solid surface from PORCELANOSA Group. On Tuesday the 26th at CERSAIE 2017, the multiple new properties offered by K-LIFE will be presented to the press as a sensory experience. 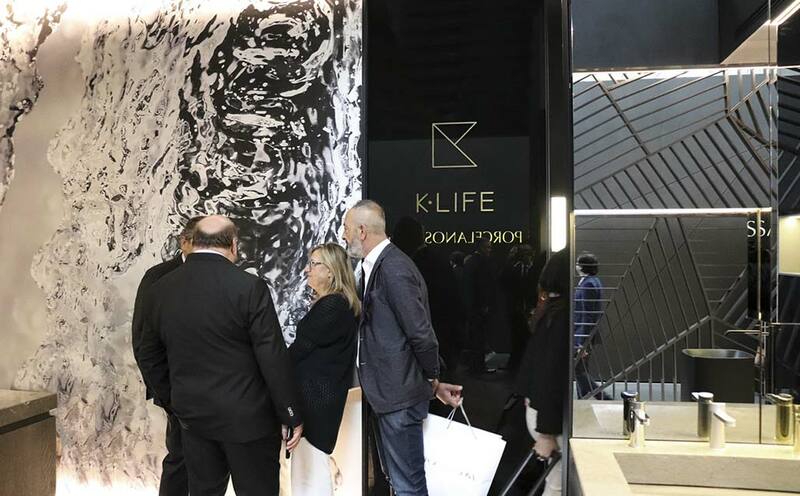 Afterwards, visitors to the PORCELANOSA Group stand will be able to see first-hand how KRION K-LIFE is going to revolutionise the solid surface market.